This week I published a new ebook: Hooking Up! This ebook contains 6 patterns that are ideal for those who have just learnt to crochet as well as experienced crocheters. 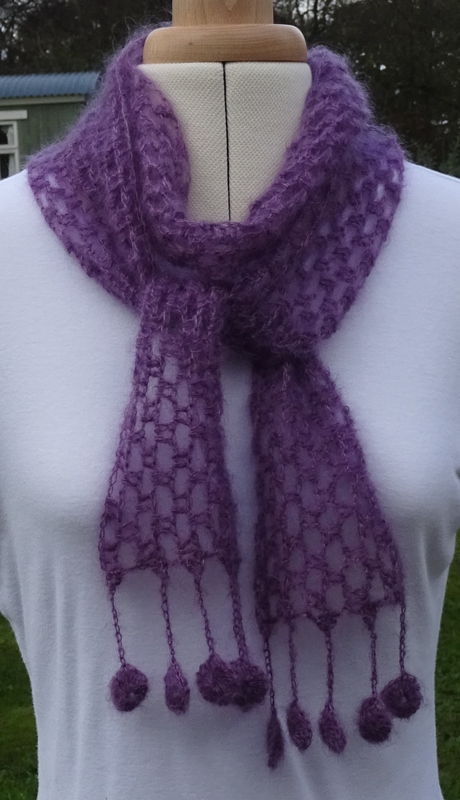 If you are new to crochet then you will gain experience and learn new techniques as you work through the 6 designs. 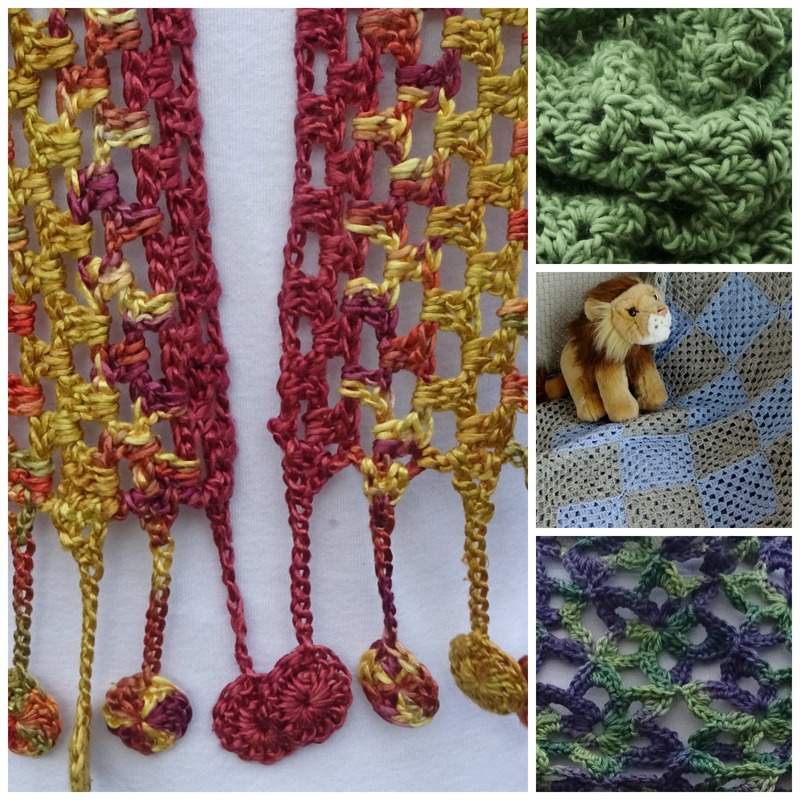 The book also provides good reference material – a reminder of the stitches used, the importance of tension and how to adjust your hook size, what to have in your beginner crochet kit, all about blocking and lots of other useful reference material. If you are experienced at crochet then you will find some beautiful projects which you can make quickly and adapt to your requirements. Over the next week I will be featuring each pattern in turn. Today it is Simple Scarf. 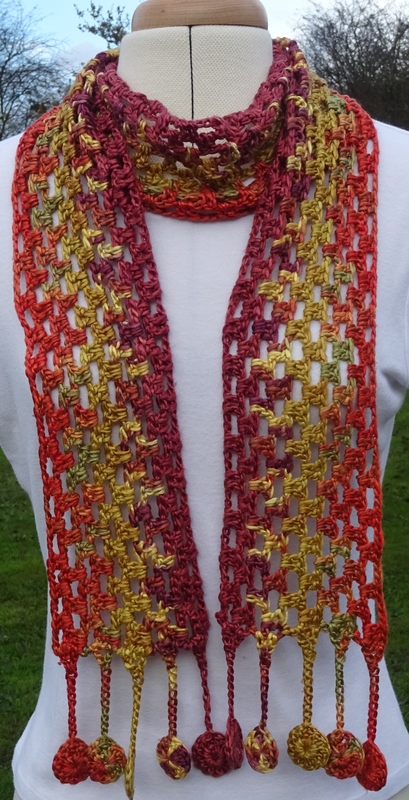 If you make a mistake counting your foundation chain on this pattern then you will find a cure – I provide instructions on how to work with this little mistake without having to take back your work; a simple scarf with simple solutions! The other patterns in the book are April Scarf, Round and Round Cowl, Granny Blue Lap/Baby Blanket and, by special permission, Cassia Cowl and Starry Night Blanket by Amanda Perkins. More information on these 5 patterns will feature in future blogs.